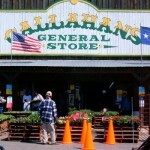 Home » Cooking » Callahan’s General Store is celebrating 40 years Austin strong! Callahan’s General Store is celebrating 40 years Austin strong! A feed store & a whole lot more! Lordy, Lordy! Look Who’s turning 40! Callahan’s General Store is celebrating its 40th anniversary with a big event at the store on , Saturday, May 19 from 8 am-6 pm. Deep discounts on merchandise. Prize drawings. Live music by Three Chord Rodeo and Rotel & The Hot Tomatoes. Animals to see and pet. Food trucks. Beverages. Face painting. Maybe something for wanna-be cowboys! And while you’re here, we don’t mind if you do a little shopping, too. Just show up and join the fun! Callahan’s General Store opened its doors for business in June of 1978 and stands today as a tribute to its founders, the late Earl and Lucy Callahan. Not only has it become an Austin Legend, but a central Texas destination with a national and international customer base. 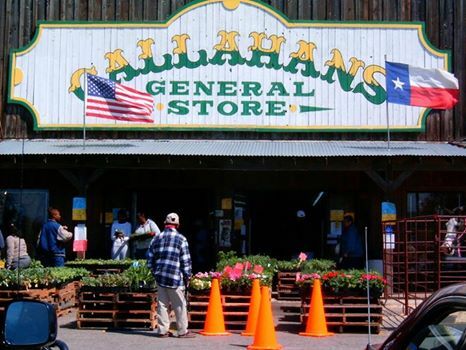 Callahan’s General Store is a place were people gather to shop, visit and experience a true piece of Texas. Head out and visit them today to take a look at everything they have to offer!